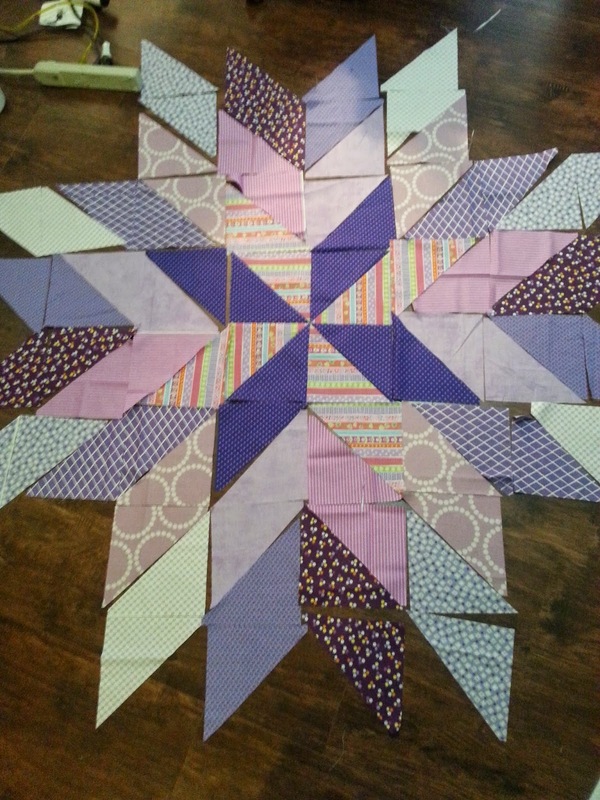 This is the beginnings of what is to be: Birthday, Christmas, Proud-of-you-for-having-the-courage-to-go-back-to-school Quilt. 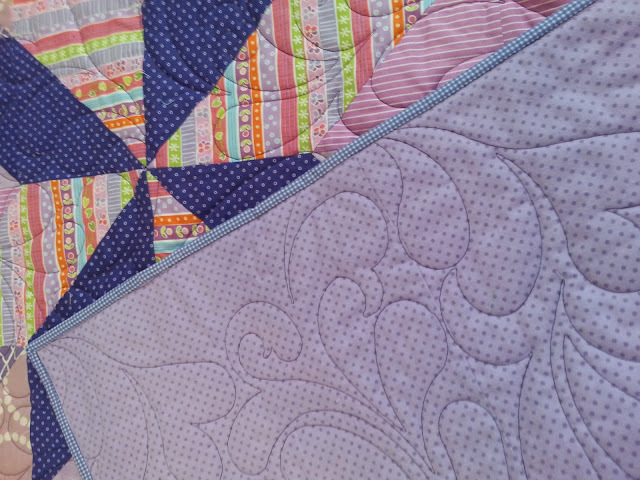 As you can see, quilt is made from triangles cut from one of my favorite tools...the Easy Angle triangle template. These are 6 1/2" right angle triangles. Then I laid them all out to decide how it should all go together. 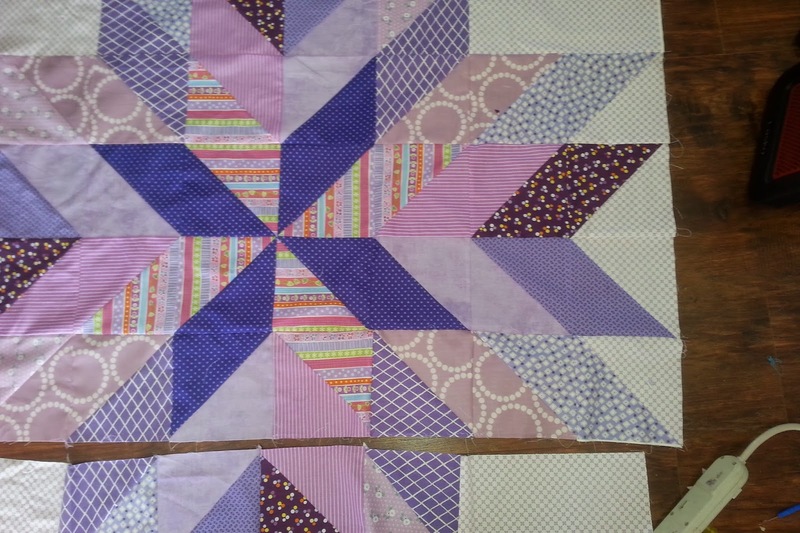 MATERIALS: I love fat quarters so all of this is just that...except for the dark purple polka dot and the white with purple x's, for the sake of time I am going to call it just white. I had one yard of the white and about 1 1/4" of the dark purple. I used eleven fat quarters which is way more fabric than needed, but I wanted lots of different purples. 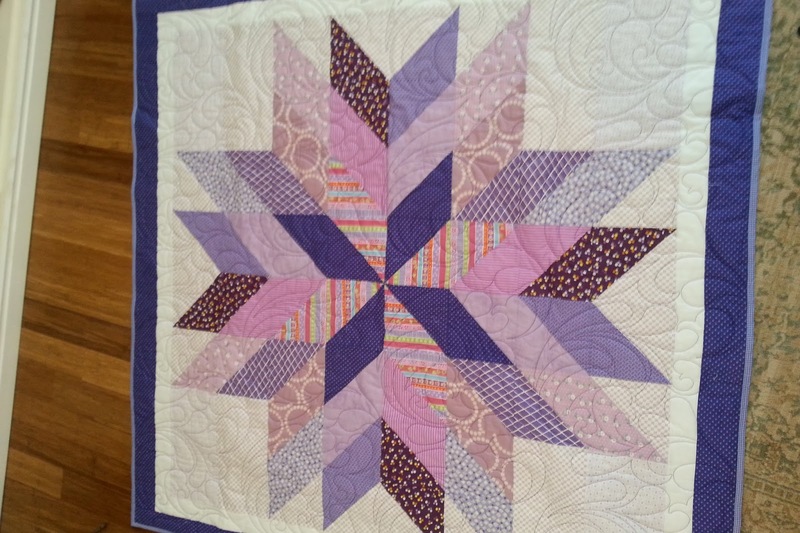 Quilt measures 54 by 58". Cut a total of 8 6 1/2 x 12 1/2 rectangles for bottom corners (I used two different colors because I ran out of the white with purple x's). 2 - 56 1/2 x 4 1/2 purple strip (These are all for the sashing, I cut two of the purples a little thicker because I wanted the quilt to be rectangular). 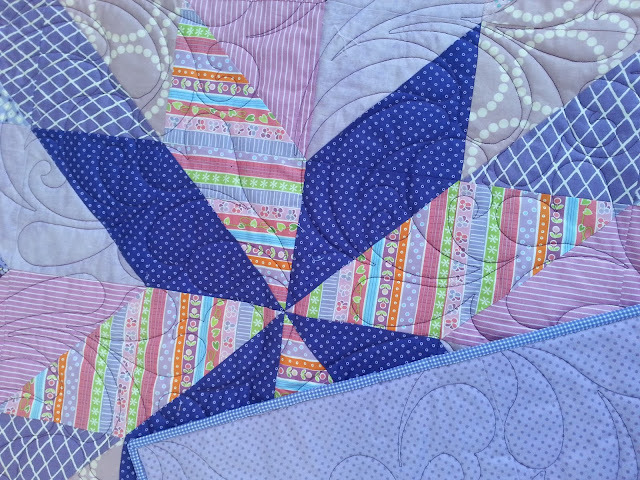 Use the easy angle triangle template, which I have spoken about on numerous occasions It is fabulous for making triangles. 2. Organize your triangles the way you desire. 3. I left all my triangles on the floor so they would not get disorganized and I picked them up two at a time and sewed them. It would work really well if you have a design wall just to leave them up and pull them down to sew. 5. Attach the white sashing. 6. Attach the purple sashing. 7. 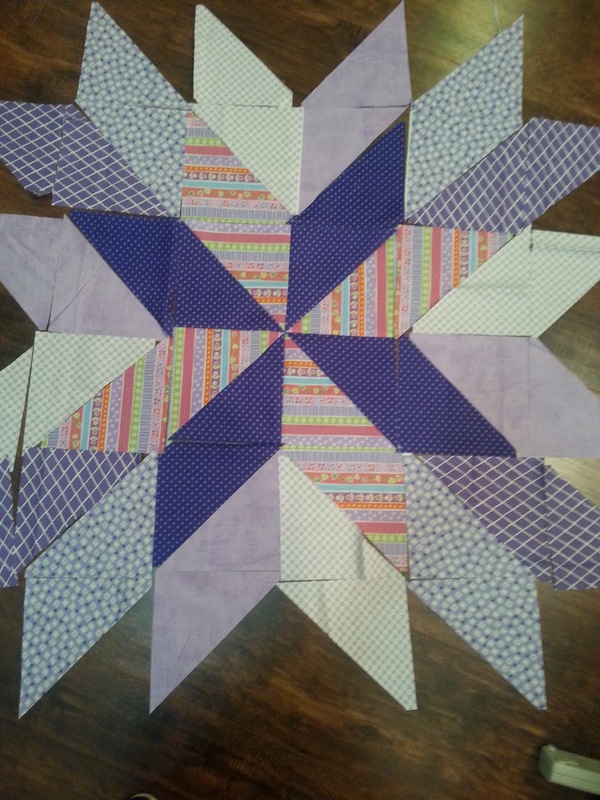 I used 5/8 yard of purple gingham for the binding. 8. For the flannel back I always ask the store clerk to cut the fabric in two pieces as it saves time. I bought 1 5/8 yard and then 7/8 yard.